As you likely know, there are a million apps available for your smartphone and tablet these days. And when it comes to kids apps, I feel like a lot of them are completely useless or they aren't what they claim to be, so I love when I come across an app that is exactly what it says it is and much more! Introducing FarFaria! 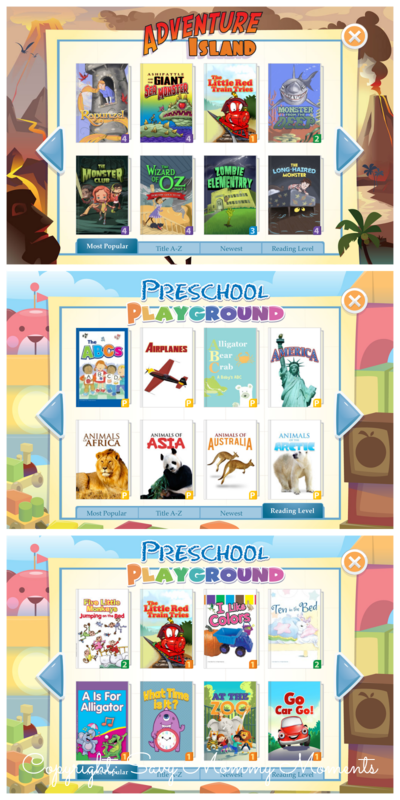 It's a children's book app that helps you have storytime anywhere! In the car, on your couch, at grandma's, etc. In our house, reading is something that takes place constantly throughout the days. The kids love their books and we love to read them with them. Our kids also LOVE our iPads and so combining their love of reading with their love for technology just makes perfect sense! Yes, I know, I still love the hard copy books, but let's face it. It's not exactly easy to lug them all around. FarFaria is great because there is a huge library of stories so your favorites are always available to you with the click of a button. The layout of the app is really easy to use and fun. 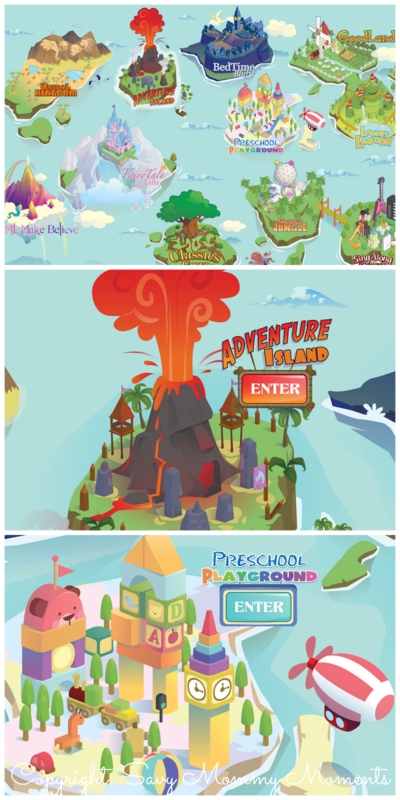 The books are divided up into storybook lands. You pick the "land" on the map you want to pick a book from and then you are shown a huge library of titles. The list can be sorted multiple ways, including by reading level! The kids easily navigate side to side through the books and have no problem picking one out. The books are easy for the kids to distinguish what they are about because of the illustrations on the covers. After choosing a book, you just click on it and then you have multiple options for reading it. You can have it read to you, autoplay, or read on your own. My kids can't read yet, so they love the Autoplay and Read It to You options as they read the story to them. They have explored tons of sections and they really do love the Preschool Playground best. Savy Toddler loves to pick out books that feature large illustrations and one word pages, while Savy Preschooler enjoys books that are geared toward level 1 which feature short sentences and stories. Taking it on the go? No worries, you can download your favorites and take them anywhere. No internet required! So much easier than lugging around actual books in cars and on planes. Overall, we really love this app! We love that it has a ton of books available, is easy for our kids to use, and it is great on the go. It's educational and fun. Even we catch ourselves browsing the stories after the kids go to bed! I highly recommend you check it out and download for your kids today! Visit the FarFaria website to learn more! Download: It's available in the iTunes store or Google Play for Android. Free to download and only $3.99/month for a full membership. Win! Enter below for your chance to win a 3 month subscription to FarFaria! Open to U.S. and Canada. Giveaway ends on 7/10/14 at 11:59pm CST. Good Luck! 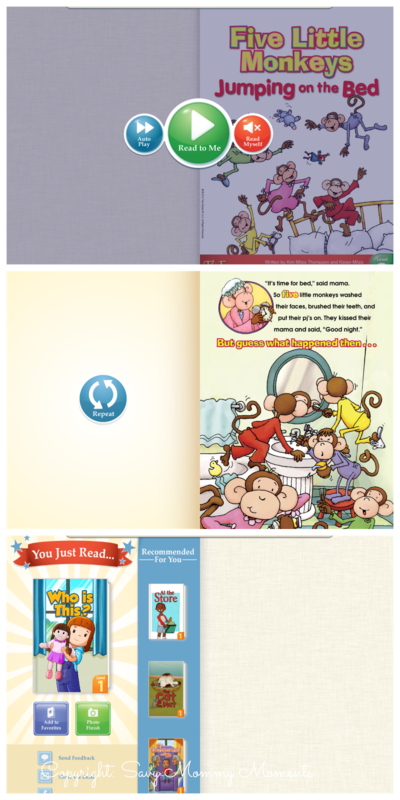 FarFaria is an iPad app that provides the perfect story time experience. With more than 600 amazing children’s stories—and five new ones added each week—story time has never been easier. Created for children ages 2-9, FarFaria helps children develop a passion for reading and encourages families to spend quality time reading together. FarFaria’s engaging story-discovery experience encourages children to stumble into new stories they’ll love forever. ● Unlimited reading from our library of more than 600 stories. ● Five new, engaging stories added every week. ● Every story can be read aloud with a Read-to-Me feature. ● Reading-level badge on every story cover. ● No advertising. No hidden fees. Try FarFaria for Free: Download FarFaria and read one story every day for free with no obligation to pay. For access to unlimited stories and offline reading, subscribe for just $3.99 a month and cancel anytime. This looks like a great app, my children love to read, so I'll have to check this out for our ipad! Oh this looks great! My kids love reading, I'll have to check this out!